Leather will last a lifetime given enough care and attention. 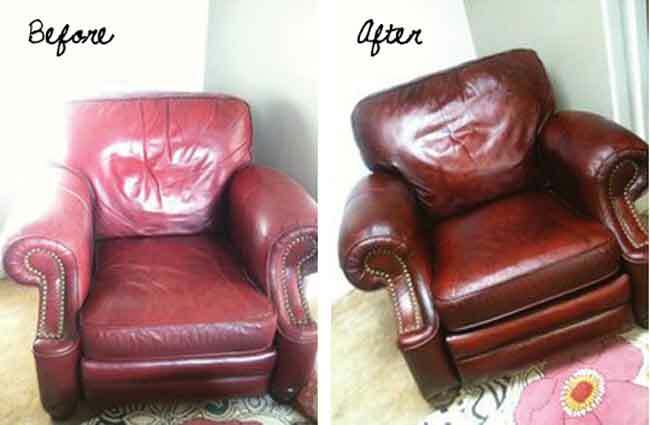 Professional cleaning, conditioning, and re-colouring will keep your leather chairs like new. 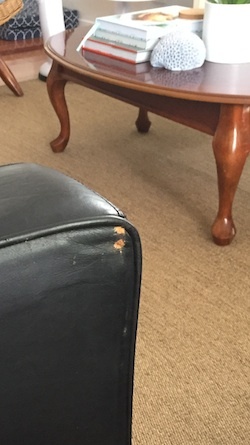 How does The Sofa Repair Man make so many leather repairs, including fixing scuffs, scratches, rips, tears, colour fading, pet damage, and stain or nail varnish removal from my leather sofa in my home? 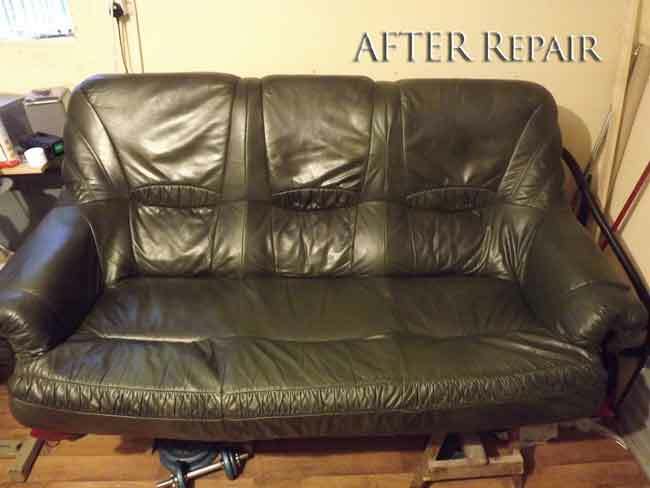 The answer is, with a lot of prior preparation, years of experience, and a van that is organised and fitted out with every tool, product, technique, material, and equipment needed to restore your leather sofa back to a factory finish on our first visit to your home. 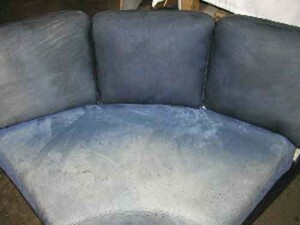 Is Your Sofa Beyond Repair? No, Not At All! 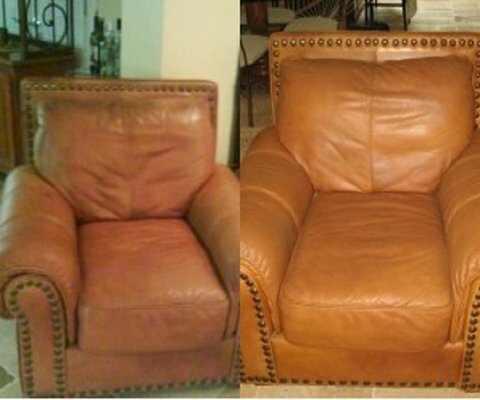 Invisible mending on leather sofas and chairs at home by the professionals is both strong and durable, and it saves you money. That is just part of the answer. When I visit your home, you will show me the problem you have with your leather. 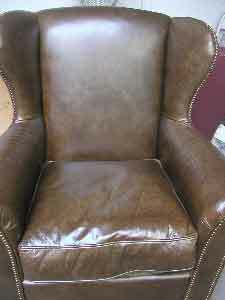 Leather conditioning and re-colouring is a great way to give your Chair that shop new look. 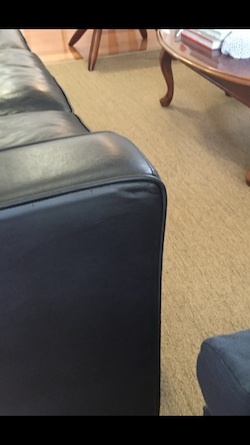 I then diagnose the problem you are having with the leather, explain my diagnoses and offer you a solution for your damaged leather. 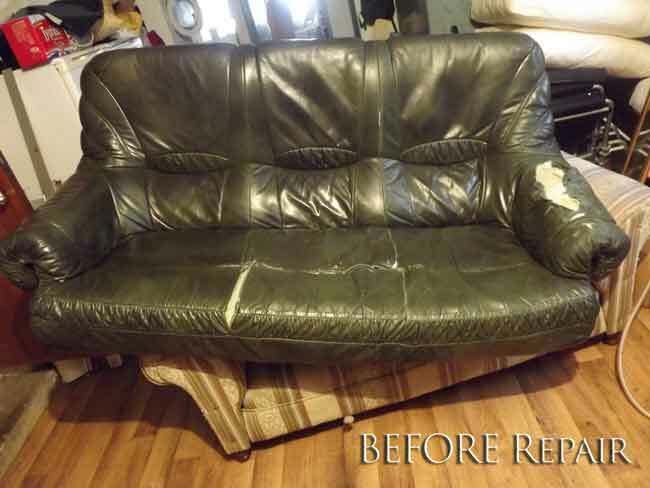 Before I start any leather restoration in your home, I will lay out a large clean work sheet to protect the floor and keep the sofa protected as I work on it.. 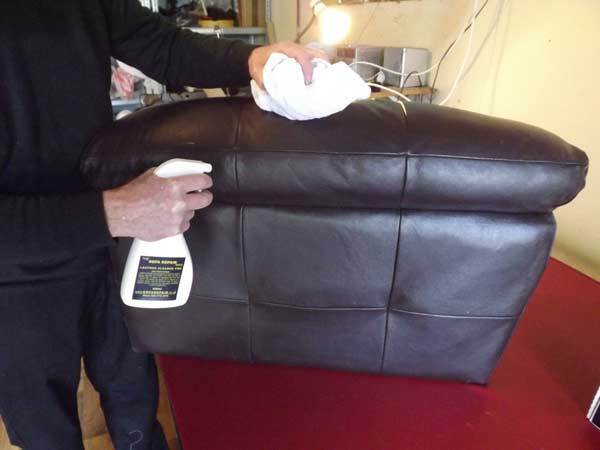 Using only safe, water based products, specially formulated and chosen, your leather furniture will now be repaired and restored to a factory finish and ready to use the same day. 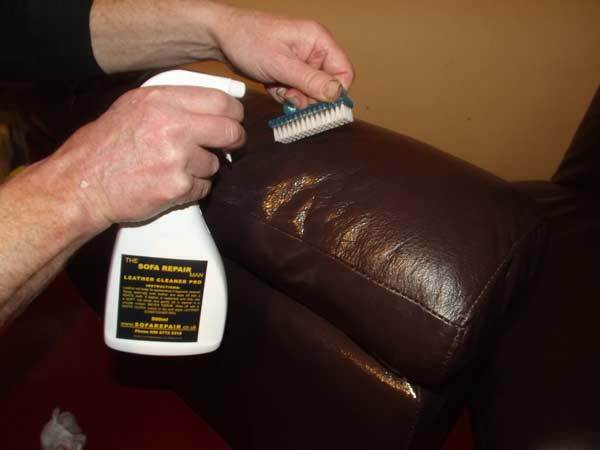 Before I leave, I will give you the best tips on how to care for your leather furniture, and advise on the best leather care products. 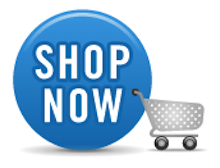 Last of all, I stand by my work and products with a no quibble guarantee for your piece of mind. 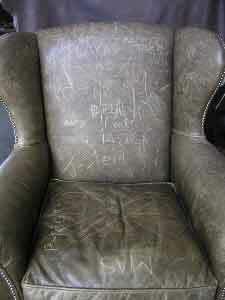 Restored by professionals who are trained by tanners and use the same products and processes as used in the tannery. 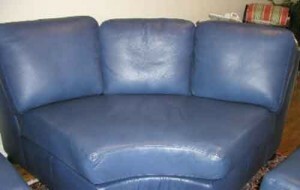 So now you know how we can repair leather sofas at home, please contact The Sofa Repair Man Now. 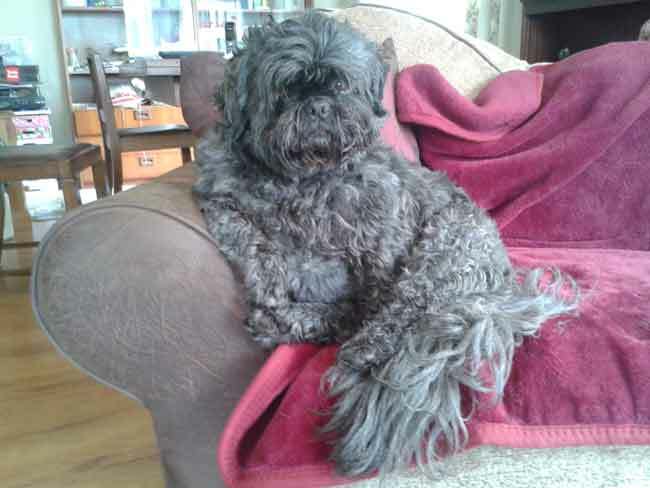 If you like, you can send me a photo of your sofa and the affected area, with a brief description of the problem or damage, and I will get you an estimate.